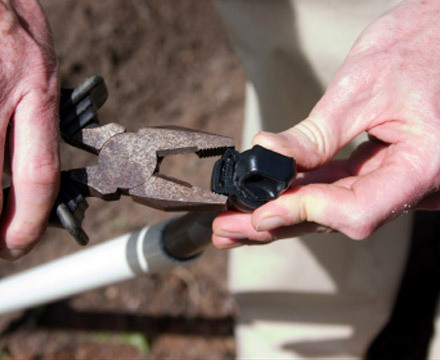 If all you need to do is empty the sprinkler system, why not winterize it yourself and save some money? If you don’t have the knowledge and equipment to do it properly you’ll end up damaging your sprinklers. Blowing out sprinklers is a careful procedure that requires just the right PSI. Though sprinkler systems generally operates at 30–50 PSI, you need more pressure to winterize them. Most store-bought air compressors don’t have the strength to remove all of the water in a sprinkler system. 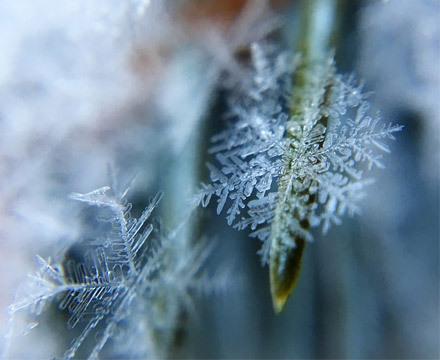 After low-pressure winterizing, drops of water that are leftover will freeze and create hairline fractures in the pipes, or worse. It’s more expensive to repair or replace the system than to have a professional winterize it for you properly. If you do happen to find an air compressors that has the strength to flush all of the water, you may end up using too much pressure. Each type of pipe has a maximum pressure, beyond which they’ll break. PVC systems need about 80 PSI, while poly pipe systems will crack above 50 PSI. Professional sprinkler technicians know what pressure different types of systems need, and we have the truck-mounted compression systems to deliver enough pressure to the highest demanding systems. Green Mountain Turf’s experienced professionals have all of the knowledge and equipment to properly care for your sprinkler system. If you need sprinkler winterization in Arvada, contact us today.